TODAY’S THE DAY! The first Chevron Summer Cinema Series FREE outdoor movie is tonight at Second Beach in Stanley Park! 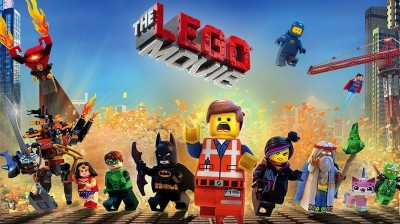 Kicking off the 2014 series this evening at dusk is the hit 2014 film, “The Lego Movie“! AWESOME! Watch the trailer here. Bring your blanket or lawn chair and head over early to the park – and don’t forget your appetite: we’ll have freshly-popped popcorn, Coca-Cola and candy, plus Triple O’s food truck (wraps etc), Goodfellas Mini Donuts (mini-donuts, Screamers), Garbanzo’s Food Truck (falafel pitas, salads etc) and Jamaica Blue Coffee Company (iced coffee) at the park to serve you all night. Yes Cycle will have their bicycle valet on site this evening – and be sure to bring your Lego brick donations for Ronald McDonald House BC’s Lego Lounge, and some Loonies & Toonies for the Vancouver Firefighters Charitable Society.